In a blog and social media world that is exploding with bright, white-walled homes, I am over here without a white wall left in my home, and loving it! 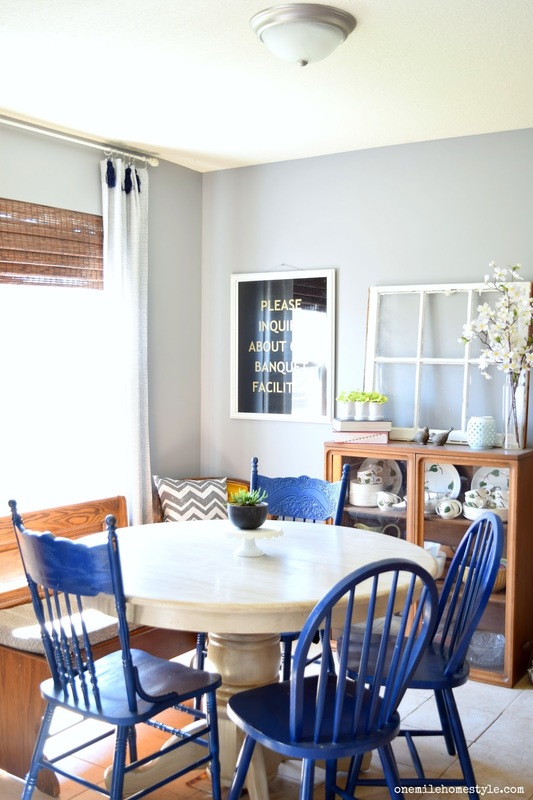 Don't get me wrong, I love looking a pictures of bright white rooms, especially when they have great details, and fun dashes of color, but it is just not for me. I don't know what it is, I just cannot live with white walls in my home. 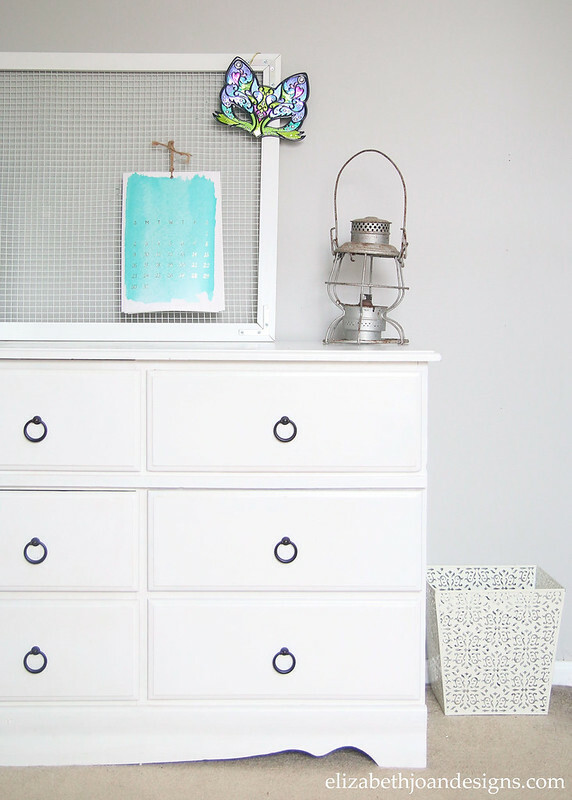 At this moment I am all about grey; give me gallons and gallons of grey paint in various shades, and I am a happy girl! There is just something about that perfectly moody neutral that I can't get enough of. 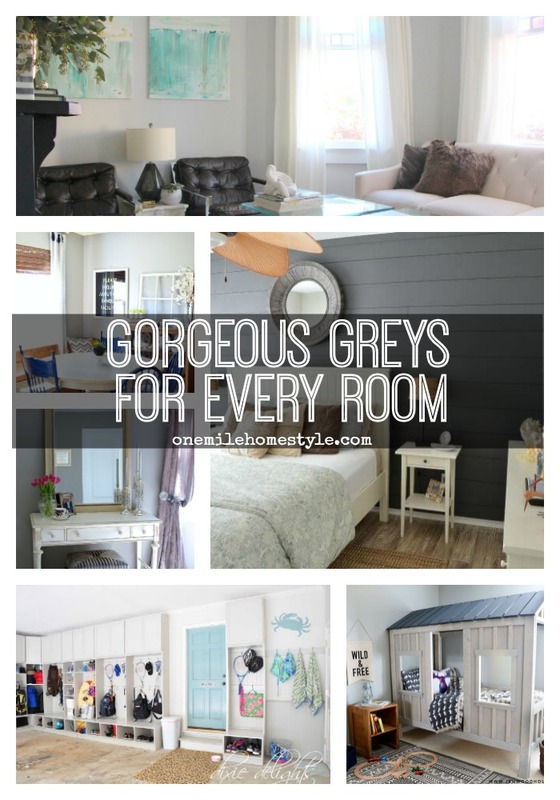 So, because I can't get enough grey, and to prove that you can use it in any room in your home, I have gathered a fun collection of grey rooms for you to enjoy! To get us started, here is my living room and dining room in my favorite Granite Grey by Glidden. Grey is a perfect soothing color for a bedroom and Delineate Your Dwelling added lots of white touches to keep the room feeling bright. What's not to love with shiplap and a gorgeous charcoal grey? Table & Hearth knocked this bedroom space out of the park, and proves that shiplap looks great in any color! Elizabeth Joan Designs shows that grey is the perfect backdrop to showcase white furniture and accent with bright fun colors. This bathroom from Prodigal Pieces shows off how great grey can look with warm wood tones, and the light color keeps the small bathroom from feeling closed in with all that dark wood. Laundry rooms are notorious for not being great spaces, but this on from 2 Bees in a Pod is beautiful with it's blue-grey walls and white trim. A light and airy living room from Scotch and Nonsense is so welcoming, and those paintings look amazing on those light grey walls. Cherished Bliss did an amazing farmhouse bathroom makeover! I love the two tones of grey together, that cabinet color is absolutely gorgeous, and the light walls let that fabulous wood framed mirror become a show-stopper. Who wouldn't love this kid's room from The House of Wood? 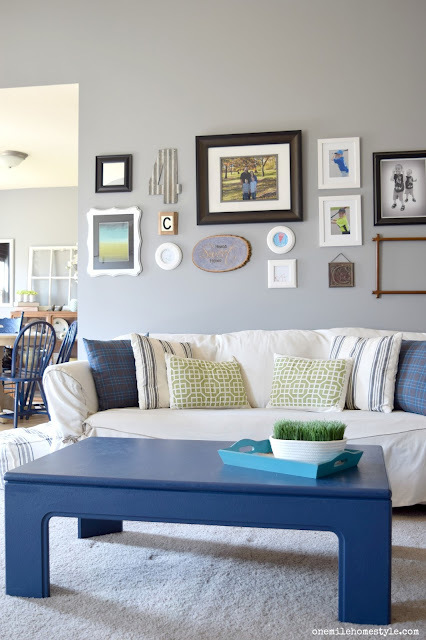 The soft blue-grey walls play with the outdoor theme, and will transition perfectly into a big-kid room later. A mid-tone grey is great for adding a little drama and a little glam to to a room. Designthusiasm added soft metallics and lilac to really dress up this bedroom and the result is gorgeous. Dixie Delights added grey, and some pretty awesome storage, to her garage and now it looks like an extension of the home, instead of just a plain old garage. And the sky blue is a fun accent too! What do think? Is grey a color you would use in your home? It can look great in any room, and looks just as fabulous with stained wood trim and accents as it does with white. The most important part of picking your grey paint is to know what undertones you are looking for, blue, brown, purple, etc. And then sample, sample, sample. Be sure to pin this as inspiration on your Pinterest Boards! I have some shade of gray in every bedroom and bathroom in our home. It's a wonderful wall color. I hope you'll share this at Thoughts of Home on Thursday.